Well, rising pollution levels is one of the most significant side-effects of our modern life. From serious threats to citizens’ health to denting the country’s economy by impacting productivity, the hazards of air and water pollution are plenty. While a lot still needs to be done to address the issue, choosing to live in an eco-friendly environment without compromising on the many conveniences of modern, urban life is a good start — something that lays the foundation of sustainable living. If you’re planning to look for a new home, consider these 5 top eco-friendly residencies in Malaysia. 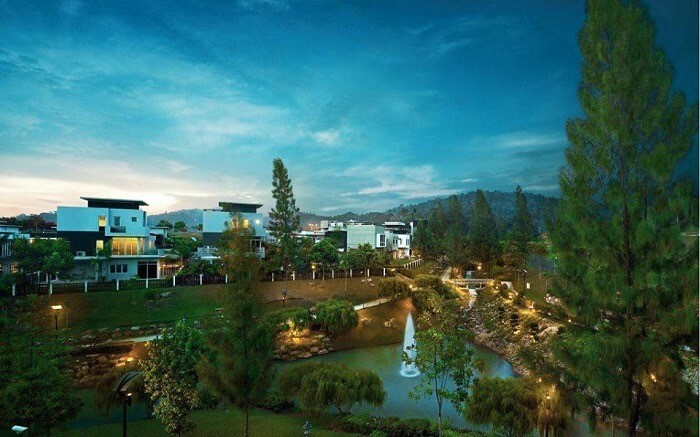 Renowned for its scenic and eco-friendly landscape, Setia Eco Park is spread across 791 acres of prime freehold land. In 2015, it was recognised as one of Malaysia’s Top 30 Green Catalysts. This was achieved by the project for pioneering the development of sustainable townships and being the first to design and develop homes with solar building-integrated photovoltaics. This residential area also has 56-acres of forest park and 94-acres dedicated to waterways, lakes, and creeks. Its latest pride is Malaysia’s first hybrid waterfall. Powered by solar panels, it is designed to provide an optical illusion. Whether you move to the left or right, it would seem as the water flow is following you. 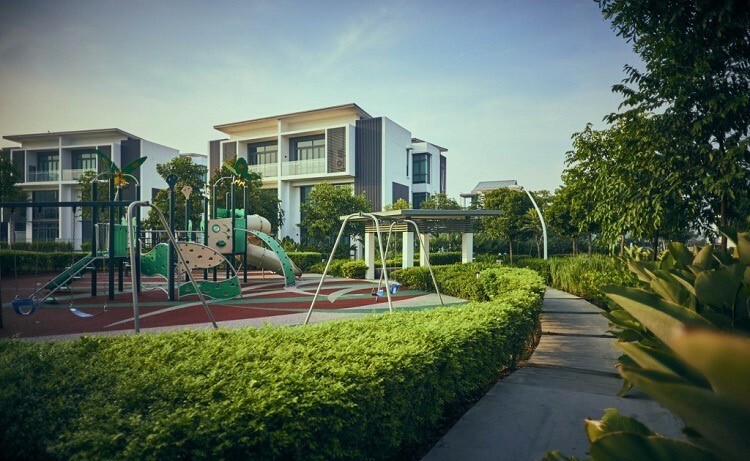 Located north of LDP’s Seri Kembangan exit, O2 Residence was designed to stimulate the feeling of living in a park. This modern integrated serviced neighbourhood spans across 13.54 acres and has no less than 1,000 trees planted in the area. The landscape is designed in a unique way to marry structure and environment in natural harmony. 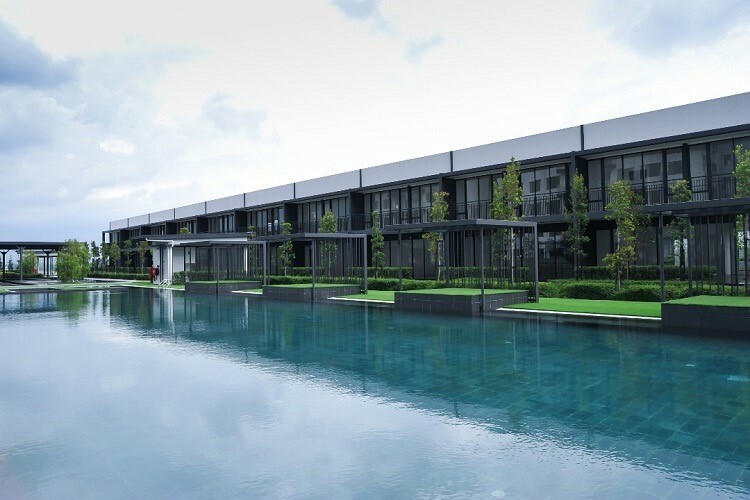 The O2 Residence uses a rainwater harvesting system that incorporates an eco-pool and optimises water conservation. Other eco-friendly features include a natural ventilation system to cool each building with minimal energy consumption, solar panels on roofs to reduce electricity bills and paint that emit fewer greenhouse gases. On top of that, O2 residence will be doubly certified with the BCA Green mark and the Green Building Index. When a residential area has the word “green” in its name, you know they take environmental and sustainability issues seriously. In fact, AraGreens has focused their green initiatives in four key areas – energy efficiency, indoor environmental quality, water conservation, and environmental-friendly features. For energy efficiency, this residential area uses solar panels, façade glazing, eco-friendly light fittings, inverter air-conditioning, and lifts with AC variable voltage. Features of their indoor environmental quality are natural ventilation and daylighting, sun shading fins, and low VOC materials. AraGreens also uses a rainwater harvesting system and other features such as compost and recycling bins, bicycle lots, and a green corner to raise residents’ awareness on environmental protection. 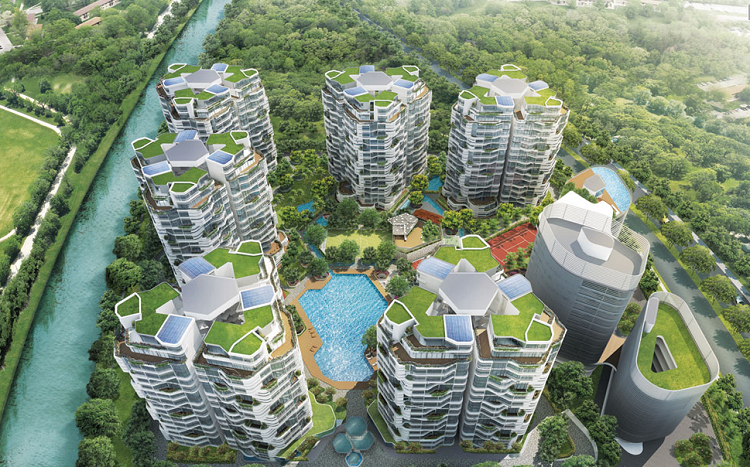 According to the company’s website, KEN Rimba is “Malaysia’s first green township”. They incorporate energy efficiency and sustainability by using building philosophies such as wind-flow orientation and breathable roof system. Other features include heat-reflective paint, recycling facilities, and plenty of greenery to help mitigate the heat. Other than a commercial centre, KEN Rimba also has three residential areas which are Legian Residences, Jimbaran Residence, and Condominium 1. 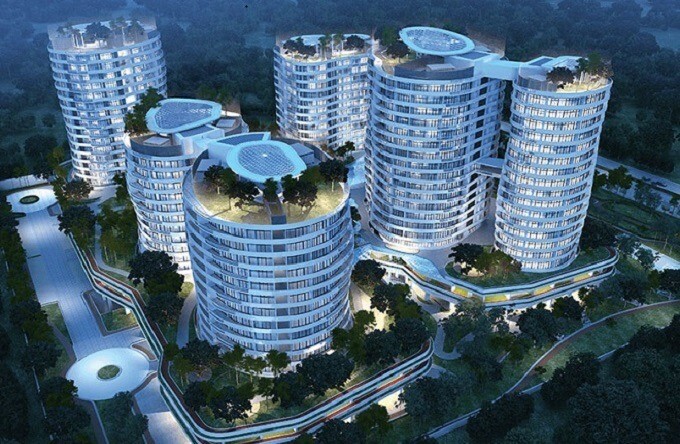 Among the accolades won by KEN Rimba include BCA Green Mark Gold award, the FIABCI Malaysia Property Award 2014 — Sustainable Development Category, GreenRE Platinum, and GreenRE Gold award. not vouch for the authenticity of the information provided in the article. Readers are requested to verify the information on their own before taking any decision.